11 December, 1969. 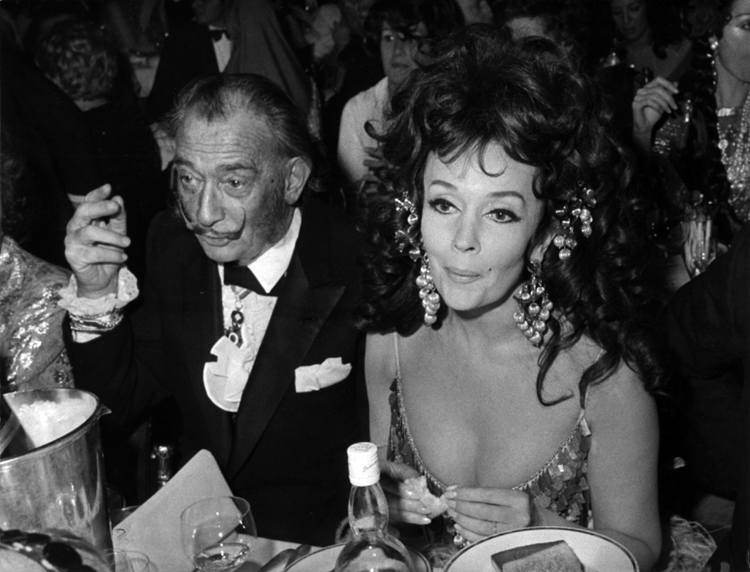 Salvador Dali and Ludmilla Tchérina attend The Paris Lido’s new show, The Grand Prix. Dali, the mad surrealist artist, attributed his “love of everything that is gilded and excessive, my passion for luxury and my love of oriental clothes” to an “Arab lineage.” No wonder he fetches up here with the exotic Tchérina – prima ballerina, sculptor, actress, painter, choreographer, author of two novels and drama queen extraordinaire.